Use only genuine Coravin replacement capsules in your Coravin Wine System. Coravin capsules are specifically designed for use with the patented Coravin technology ensuring a perfect seal every time. 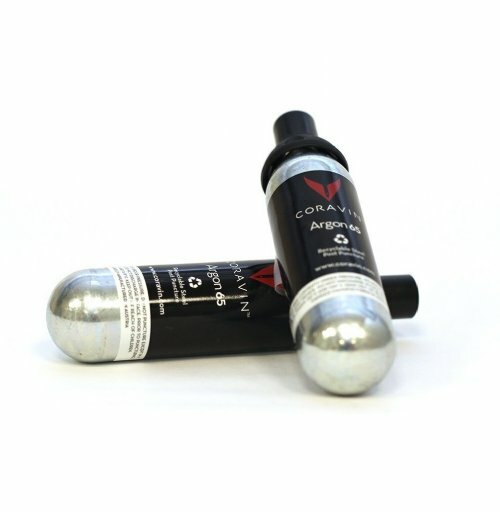 Capsules contain argon gas, a natural and inert gas found in the environment that will not oxide or affect the flavours in wine. Each capsule has the capacity to pour up to fifteen 5 oz glasses of wine. Made in Austria.